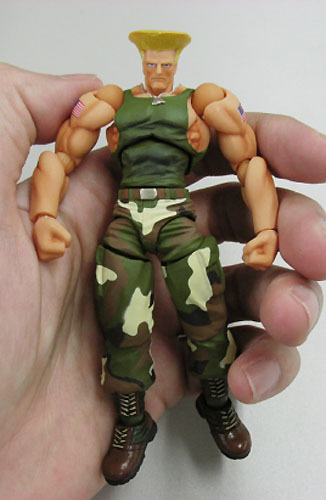 Here comes Good Smile Company’s debut of SFO (Street Fighter Online) Guile to go along with their Ryu, Ken, Chun Li, and Zangief. 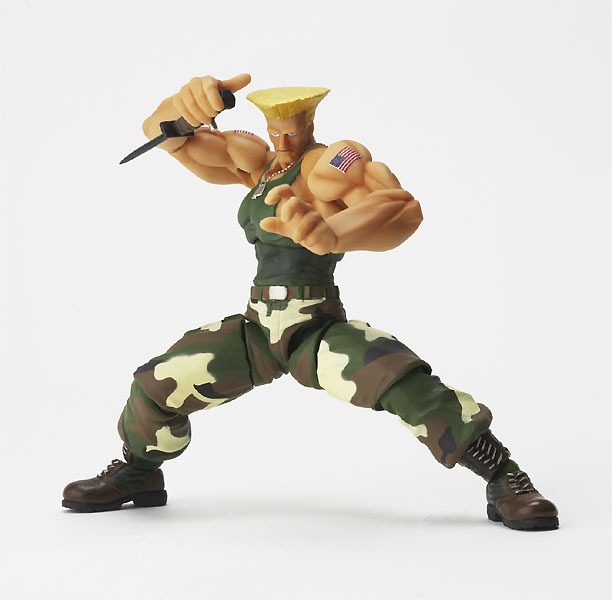 “Guile, a major in the United States Air Force, has joined the Revolech SFO collection! 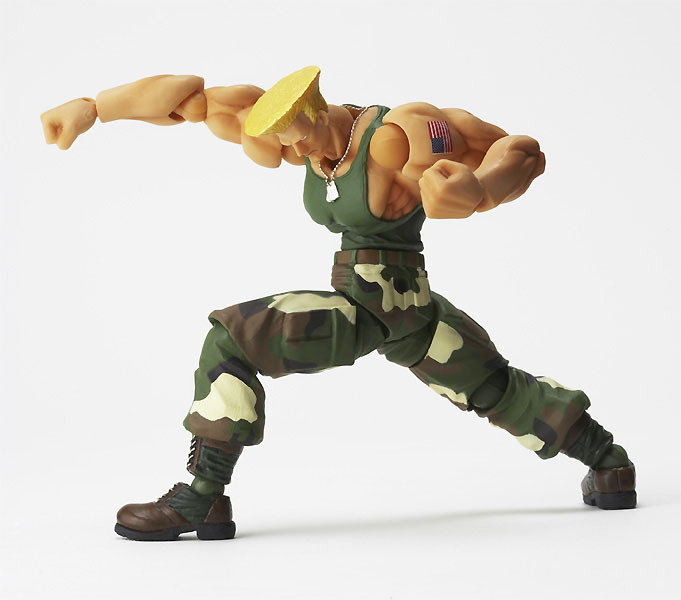 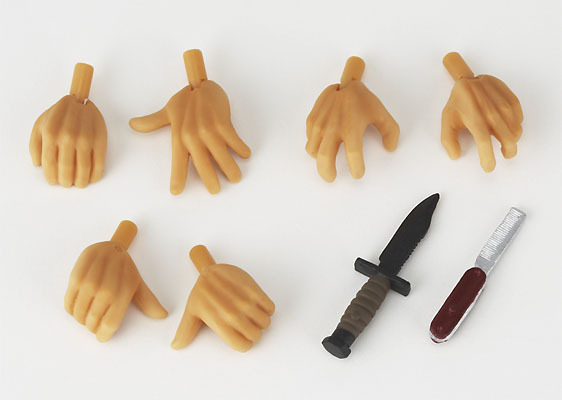 Combining his skills in various martial arts with his techniques as a professional wrestler, Guile formed his own personal fighting style - which can now be recreated using Revoltech joints. 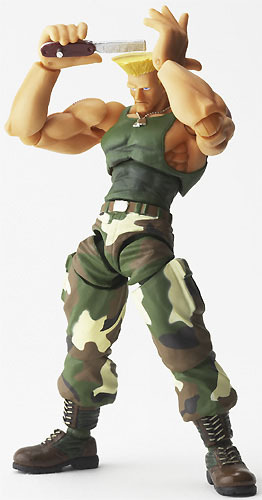 SFO Guile is expected to be released in January, 15 2009 and will retail for 1,680 Yen.